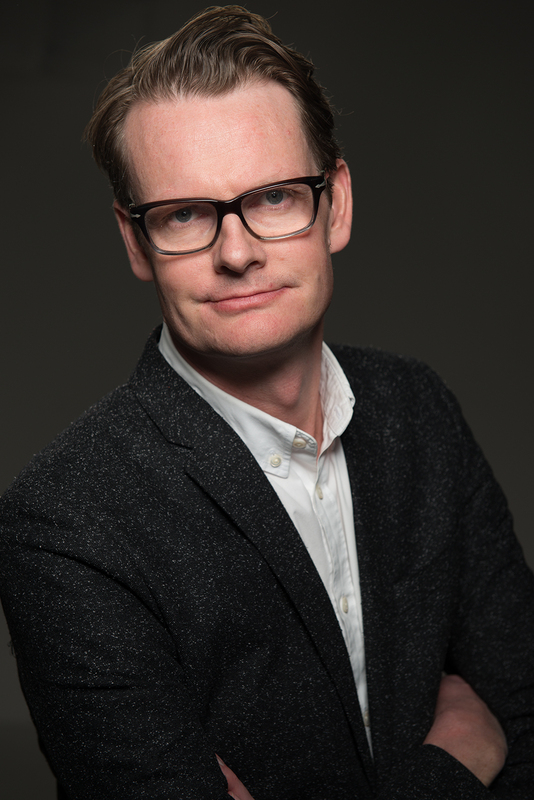 Per Schlingmann is a thought leader and one of the leading futuristic speakers in Sweden, he lectures in the areas of Communications, Strategy and Change Managment. Through the combination of his experience of leading radical change and being in the front of developing new ways of communicating Per is uniquely suited to act as a guide to understand how to navigate in the future. He is focusing on the direction people, companies and the society now are heading. He has a unique background from both Politics and Business communications. Per has founded and been the President of a Communication ­Agency­, Secretary General of the Moderate Party and State Secretary in the Prime Ministers Office. He is well known for his work with the successful renewal of the Moderate Party and is perceived as the main spin doctor in Sweden. 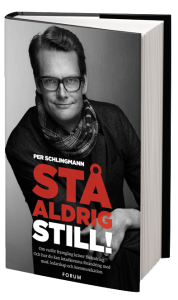 He has been pointed out as one of the most influential communicators and has been a very appreciated columnist in Swedish newspapers. 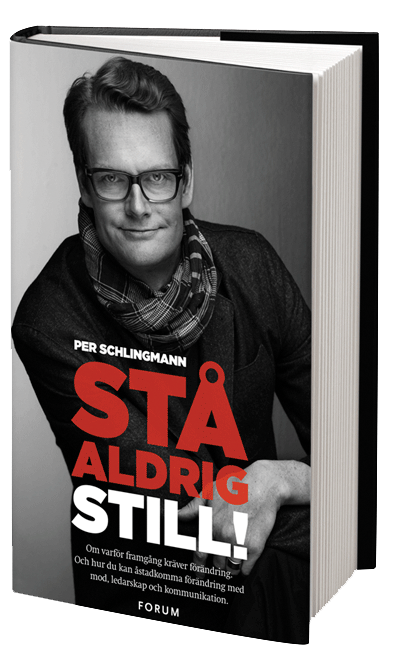 In 2013 he published the book ”Never stand still!” about his time with the Moderate Party, the book deals with topics like change management and what business can learn from politics. 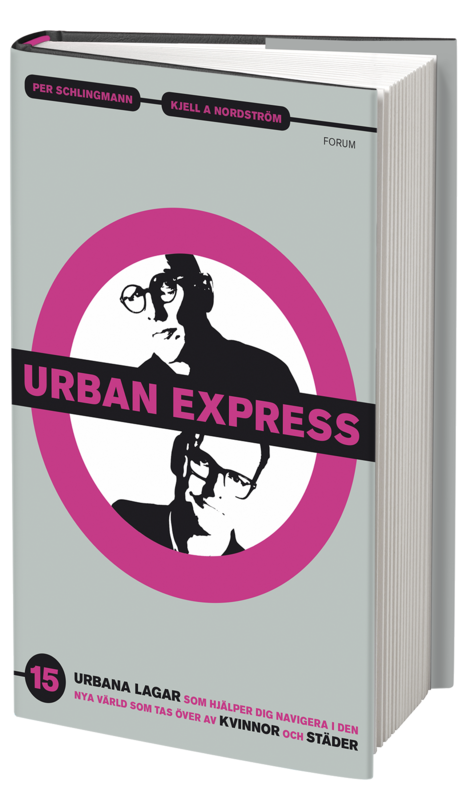 In fall 2014 he published the book ”Urban Express” with Dr Kjell A Nordström, advisor to global enterprises and well known economist. His latest book ”How to win the communication war – with your story as weapon” is the perfect guide on how to survive in the new world of digitization and globalization. Per explains this new communications war and how you can be successful by using the most efficient weapon there is in communication: The story. Per speaks in the fields of Change Management, Communications, Futurism, Digitization and management. Change or die – never stand still! Per was one of the architects of the succesful transformation of the moderate party in Sweden. With the experiences of changing a 100 year old political party he speaks about the need for change and how people, businesses and organizations can decide on, lead through and communicating change. Per developes his thoughts on change management and shows how to use communication and rhetoric to promote change. How to win the Communication War! Organizations that renews itself automatically carries a story. Behind all the brave people and decisions is a story worth telling. The power of a good story is strong. Companies must act in a way that builds anecdotes, to be aware of when they occur and to communicate them. Turning the concept of storytelling into something proactive and work with story building. 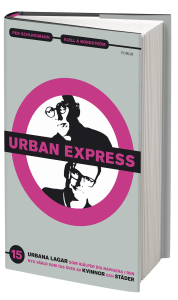 Per Schlingmann and Funky Business economist Kjell A Nordström are the authors of the trend scouting book Urban Express. They see a quiet revolution in which cities and women are insurgents. They see multinational corporations that turn into multiurban businesses. They see the demand for new skills that are non-digital; wild knowledge that can’t be taught at universities. They see the urban become the new black. With their broad and collective knowledge they present their analysis of what is happening in the world, in cities, with people and how our immediate future will be. Digitization and technological developments change the world and affects everything and and everyone.Robotization reshape the public sector and the labor market we have become accustomed is a memory. In this lecture Per gives his view on how digitization will affect the future. He describes a hyper specialised society where everyone has access to the same information, and where the new communications landscape and a new economic geography is emerging. Per gives examples of how people and businesses can act and presents conclusions on how the company or organization must change their thinking and actions. During an unforgettable dinner, three women make a decision that affects the political power of the country. The current prime minister has announced his resignation and there is no longer a single successor. The women who are already in the top positions are now joining, with the stated goal of changing the political game plan. Outside the country, it is mulling a whole new force – the family-owned big bank’s message about the closure of a large number of banking offices, of course, affects the countryside. It does not take long until the power of the people grows, people join a large association in the struggle for the whole country to live. This novel is an independent sequel to I maktens öga. It is early in July and the Swedish power elite is on the political week in Almedalen. Gotland sows out the rumors and everyone is watching each other.Everyone wants to be the first to either plant or reveal a news. The rumors are that the prime minister is expected to resign. Whoever becomes her successor is between politician goldman, nutrition minister David Ehrling, and the more experienced environmental minister Ann-Louise Hegel. The minister of business and his skilled spin doctor will suffer during the glowing days of the media’s hard-guarded watch. The Prime Minister and her closest staff continue to hold the course of events in an iron crisis. And everywhere, the thirty people are strong troops from the Evening Press, ready to convey every move, every word, every look. Until one evening when reality hits them with full force. In this book, the game reveals under the polished surface of politics. We can follow the power struggle between two ministers, dirty play and the game with and against the media. 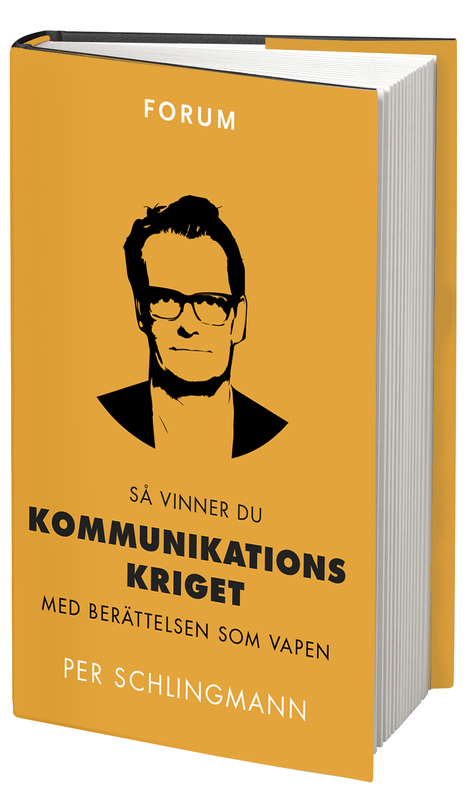 Per’s latest book ”How to win the communication war – with your story as weapon” is the perfect guide to how to survive in the new world of digitization and globalization. There is a brand new landscape in which you have to learn how to navigate to win people’s time and attention. The winner is the one who tells a story that others want to pass along. 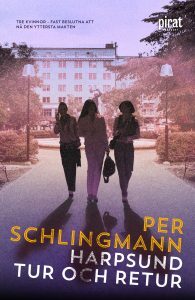 Per Schlingmann explains this new communication war and how you can be successful by using the most efficient weapon there is in communication: The story. The authors use their common and extensive experience in finance, politics and communication to draw the picture of whats happening in the world and offers tools, mindset and tips for navigating the new life that is emerging. They show how knowledge, globalization and how our time real blockbuster – the City – affects the conditions for people, businesses, and how the world can be controlled. The book teaches 15 urban laws that help you navigate in a new world taken over by women and cities. The book Stå aldrig still! (Never stand still) describes how people, companies and organiszations can lead, communicate and make decisions about change. Mr Schlingmann shows how you can use communication, leadership and rhetorics to establish real change. As digital distraction diminishes our attention, demand for wild knowledge is increasing. How can leaders harness these skills to thrive in tomorrow’s even more dynamic and shapeshifting world? Per together with Ola Källenius at Me Convention. Viaplay orders Per Schlingmann’s political thriller The Inner Circle. Read about the upcoming tv-series here! 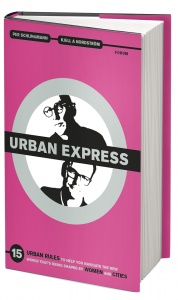 The book Urban Express is now available in English! Buy your copy here! – Dr Kjell A Nordstrom, Author of Funky Business, Entrepreneuer and Public Speaker. 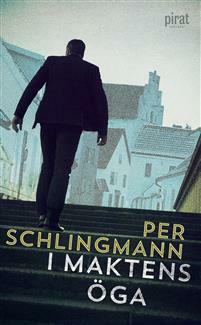 Co author with Per Schlingmann of Urban Express. Kjell is ranked no 15 in The global ranking of Management Gurus, ”Global Gurus”. ”Per provides a very relevant perspective on the rapidly changing and fascinating discipline of communication. He has an informative and interesting take on some of the most impactful dynamics of the digital revolution and how brands need to adapt in order to create relevance when engaging with their audiences. He delivers an enlightening trip through all the important changes and provides value to any business or organisation looking to grow their brand. Volvo Penta, Global Management Meeting, Gothenburg.